How could it be? 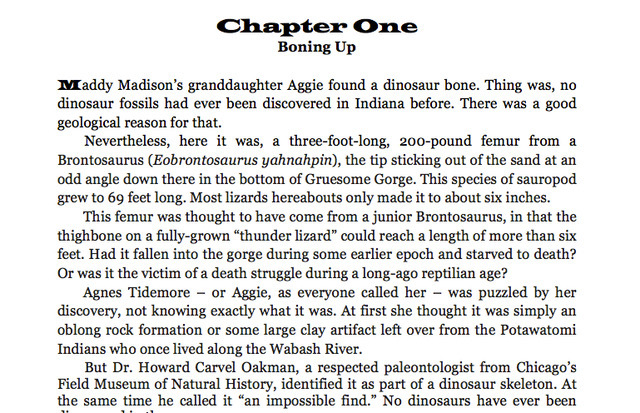 Young Aggie discovers a Brontosaurus bone at Gruesome Gorge ... but no dinosaur fossil has ever been discovered in Indiana before. 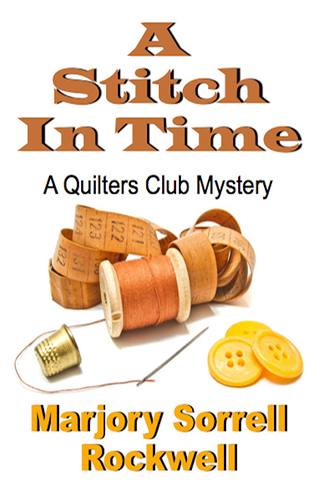 This mystery leads the Quilters Club -- those lovable amateur sleuths Maddy, Bootsie, Cookie, and Lizzie -- to uncover a massive theft of museum-quality fossils, a missing octogenarian known as Commander McBragg, and a TV evangelist involved in illegal adoptions and child abuse. “The quirky cast of characters, small-town sensibilities, and complex mysteries make Marjory Sorrell Rockwell a popular author of cozies,” says Martha Griswold, Online Critics Corner.